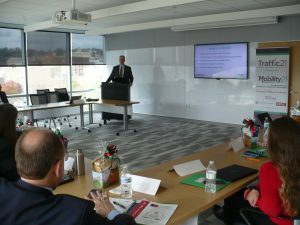 On Thursday, November 8, 2018, a talented group of national leaders attended the Carnegie Mellon University Traffic21 Institute and Mobility21 National University Transportation Center (UTC) Advisory Council meeting, held on CMU’s campus. CMU Interim Provost, Laurie R. Weingart welcoming the Advisory Council to CMU. The group was welcomed by CMU Interim Provost, Laurie R. Weingart. She shared her thoughts on the role of education, research, innovation and technology transfer happening at university. She also talked about the importance of the advisory council and thanked the council for their role in the work being done through Traffic21 and the Mobility21 UTC. Mobility21 UTC Director, Raj Rajkumar and Traffic21 Director, Chris Hendrickson then provided an overview of update of activities and plans at the centers. The day continued with Traffic21 and Mobility21 Executive Director, Stan Caldwell leading a discussion on technology transfer and plans for the upcoming National UTC Mobility Summit scheduled to be held in Washington, DC on April 11, 2019. 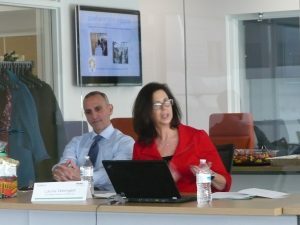 Advisory Council members shared their expertise and ideas on workforce demand, technology trends, research needs, and new funding opportunities to advance the missions of Traffic21 and Mobility21. 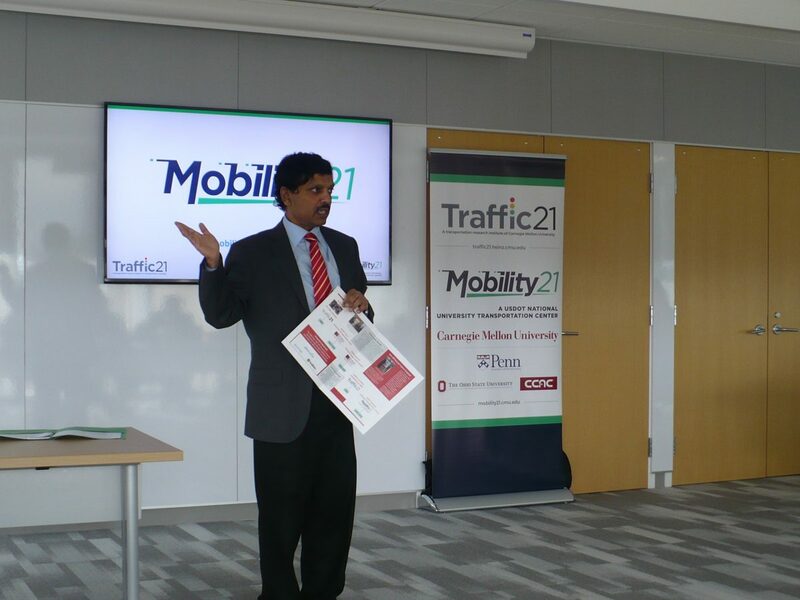 The Mobility21 team is a tight collaboration among Carnegie Mellon University (Lead), the University of Pennsylvania, the Ohio State University and the Community College of Allegheny County, and brings to bear the reach and scale of all four institutions. Tackling the multi-faceted nature of Traffic21 and Mobility21 objectives requires coordinated research, education, workforce development and technology transfer. This work is supported by researchers spanning multiple disciplines such as engineering, computer science and robotics, public policy, urban design, information systems and data analytics. Learn more about the Advisory Council members here. The next in person meeting of the Advisory Council will be in November 2019.